The Controversial Sounds of "Burger Highlife"
The genre known as "Burger Highlife" originated among Ghanaian musicians living in Germany in the early '80s. Lauded and excoriated in equal measure, it has had considerable influence on Ghanaian popular music to this day. The past few years have seen the release of a spate of highlife recordings by Ghanaian musicians based abroad. A major and common characteristic of these recordings is the strong infusion of funk rhythms and the utilisation of a plethora of modern electronic gadgets. 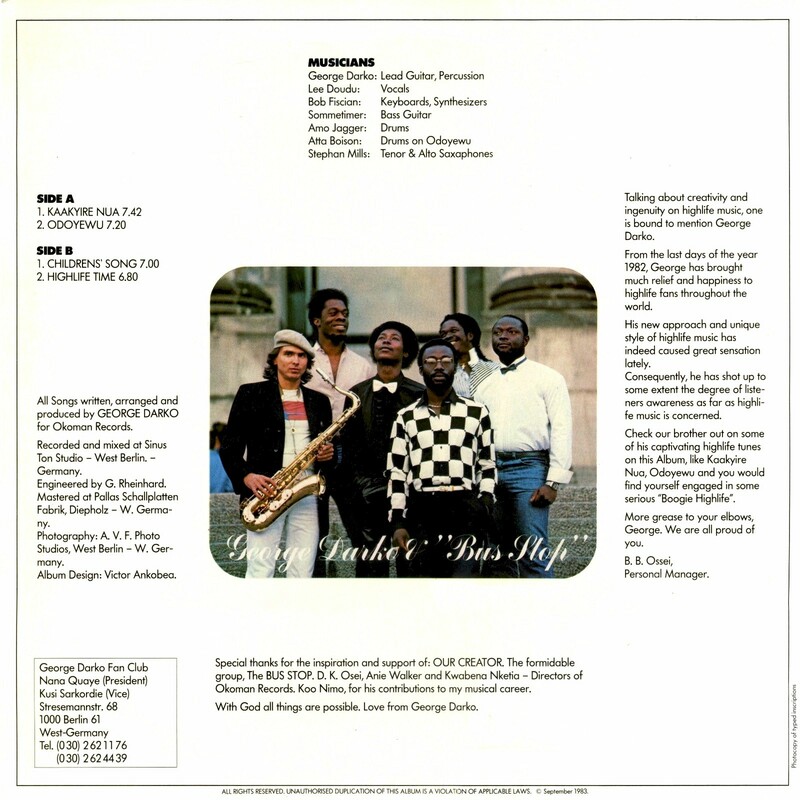 A number of these musicians, including George Darko, Kantata, Rex Gyamfi, Allan Cosmos Adu and Charles Amoah, are based in West Germany and this had led to the music being labeled "Burgher" highlife. In Ghana a "Burgher" refers to one who has lived in West Germany for a while. It is difficult to define what is "correct" highlife because the music has over the years been open to new approaches and innovations although usually in a certain context. One can safely say, however, that be it the palmwine bar style of Kwa Mensah and Kaikaku or the big band treatment of Uhuru and Ramblers, the music has always posessed that loose, free-flowing and lilting quality that always makes it easily identifiable. Local acts like Sweet Talks, Pat Thomas, C. K. Mann and Precious Jewels, especially in the 1970s, flirted with the strict, constant beat mainly associated with American funk music, but even there the highlife feel dominated, and it was abundantly clear what line they were toeing. 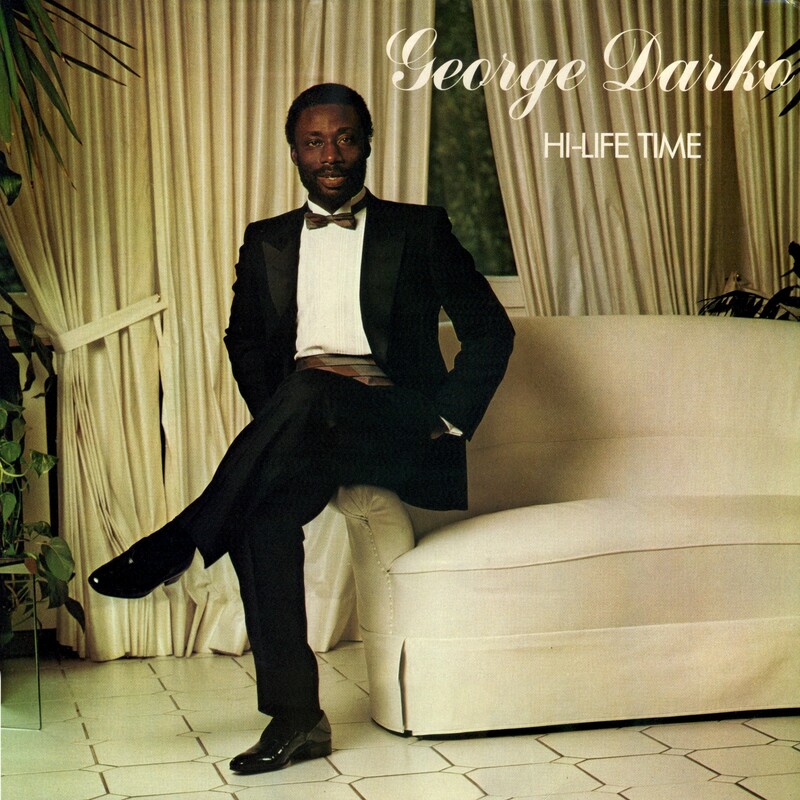 George Darko's 1983 release "Akoo Te Brofo" had the trappings of a highlife tune but leaned much more towards funk and that became the real trailblazer. Musicians who have recorded material in the highlife-funk vein, apart from the ones mentioned earlier, include Dan Davies, Andy Vans, Asafo and Julius Antwi. ....In an interview on Radio Ghana, Kwabena Fosu-Mensah, a music journalist based in Britain commented: "I feel that they (the Burgher highlife exponents) are more popular here in Ghana for various reasons. One of the reasons is that I think the whites, especially in UK, want authentic African music that is properly recorded. Wheras here [in Ghana] it seems that people are going for George Darko-style, Rex Gyamfi-style and so on." Some amount of adverse criticism has been aired around the "Burgher" highlife trend. Producer Mohammed Malcolm Ben said: "It is only our fascination with American funk music that makes us think that we have to make highlife sound like funk to make it sell abroad...If we encourage the trend of highllfe music that is going on now, I mean the fusion with the funk rhythms, there would soon come a time when the original highlife as handed down over the years would be dead and that would be very, very unfortunate." Another producer, Faisal Helwani told the Mirror newspaper that "some of them play straight funk, add Akan lyrics and call it highlife ... Our radio stations are not encouraging traditional highlife anymore. Everyday, all one hears is this kind of 'Burgher' highlife." Paa Kwesi Brew, a disk-jockey on GBC-2, reacted to Faisal's comments by saying: "As DJs we play tunes, both old and new, to liven up the station. We can't play only the old approaches to highlife and leave the modern ones. Highlife has many branches. The root is there but there are many branches to make up the canopy." The "Burgher" highlife is a trend that is still developing. A number of the exponents currently sound alike but this is likely to change as the style gradually becomes more clearly defined and consolidated. It may bloom and it may wither, but for the moment it is here, and to turn deaf ears to it would be like strangling a newborn, healthy baby. ... George Darko says he is a jazz fanatic at heart but he also has a great love of highlife. His dream is to see highlife develop and achieve universal status as reggae has done. He feels it needs to be packaged in such a way that it becomes acceptable to the European market. He realises that roots highlife itself, tends to be too heavy for those who are not thoroughly conversant with African music. Even Africans sometimes get bored with the monotony of the rhythms although the music can be infinitely beautiful. Darko scored big with the song "Akoo te Brofo" from his first LP, Friends (Okoman DA 1) in 1982. His followup, 1983's Hi-Life Time (Okoman DA 2), was even bigger, propelling him to the world stage and sparking denunciations from purists. Elizabeth Sobo, a columnist for the US music magazine The Beat, flatly declared it "not highlife," and other reviewers sniffed at its synth-driven, modern ambiance. Time was when I would have numbered myself among the detractors, but my views have moderated. There's no arguing with success, and the Burger Highlife sound has proven itself not only in Europe, the region of its birth, but among Ghanaians in Ghana itself. When you really get down to it, African music shouldn't be defined by some set of strict criteria - it's just music by Africans, for Africans. Afro-funk, Afro-disco, Afro-fusion - it's all good! And othodox highlife or not, there's no denying that Hi-Life Time, featured here, is awfully catchy. Thirty years after the first time I heard it, the title track is an ear-worm that I haven't been able to get out of my head! Download Hi-Life Time as a zipped file here. Over the years I've written several posts featuring Burger Higlife, which you can access here. A future post will highlight the group Kantata, featuring the vocals of Lee Doudou, who sings lead on Hi-Life Time. And who knows, I might have another one from George Darko also.